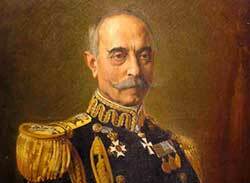 In 1912, the Hydraian Admiral Pavlos Kountouriotis, as leader of the Greek fleet, defeated the Turkish fleet in the Strait of Hellespont. 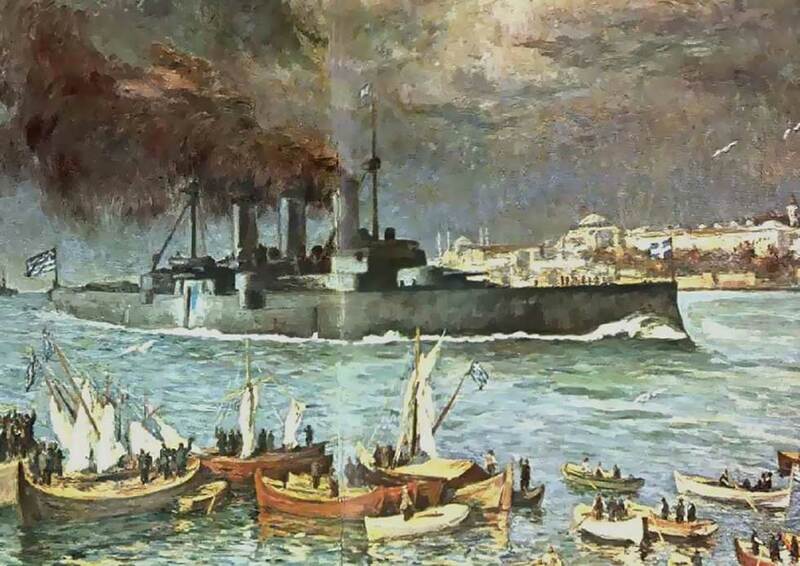 At the same time, on October 18, 1912, Nicholas Votsis, as the leader of the torpedo boat 11, torpedoed the Turkish flagship "Fetish Bulent" 3,000 tons inside the port of Thessaloniki. In 1924, the Hydraian Admiral Paulos Kountouriotis became the first President of the Greek Republic, and for half a century the Marine Ministries were administered by Hydraians only. In the Church, Hydra gave the Archbishop of Athens and All Greece, Dorotheus Kottaras, and the Metropolitans, Patsi, Parisi, Epiphanius, Kalafatis and Procopius Georgantopoulos. In sciences and literature the island gave the Academics A. Ligno, I. Harami, N. Hadjikyriakos-Gikas, P. Tetsis and painter N. Nicholaou. Hydra was developed and took its current form in the last decades of the 18th and early 19th century. Then, the old town of Kiafa has been abandoned and residents are gatherin around the Monastery of the Assumption, in the harbor, which together with a part of the old city, created the modern city. The 20th century finds Hydra, despite the temporary economic recovery, - result of systematic engagement of residents in fishing and trade sponges -, in a full population weakening, driven slowly but surely on the verge of economic decline. The island's source power, sponge diving, had begun to decline over the years, mainly due to the limitation of financial assistance towards the the sponge diving operations from the Agricultural Bank of Greece. Many residents leave the island and move to Athens and especially Piraeus, around the Church of St. Nicholas, to create their own community.